This is what your favorite superheroes looked like as kids and we can't get over how cute they were! 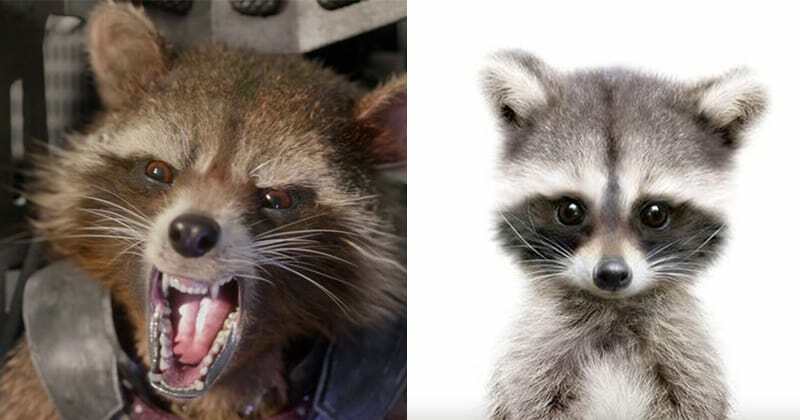 The most beloved superheroes in the Marvel Cinematic Universe look drastically different when they were young. 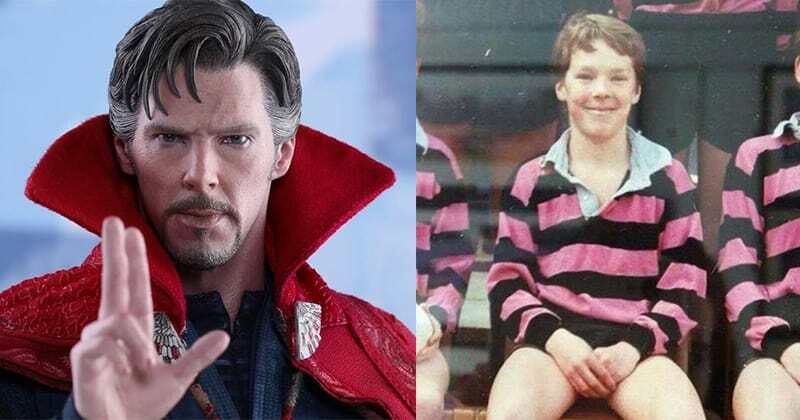 Some of your favorite superheroes were once children, too (duh), but you'll be surprised to see what they looked like before they transformed into the hot, camera-ready hunks and hotties that they are now. Puberty hit some of them like a truck, and they've just been making everyone around them thirsty for them ever since. 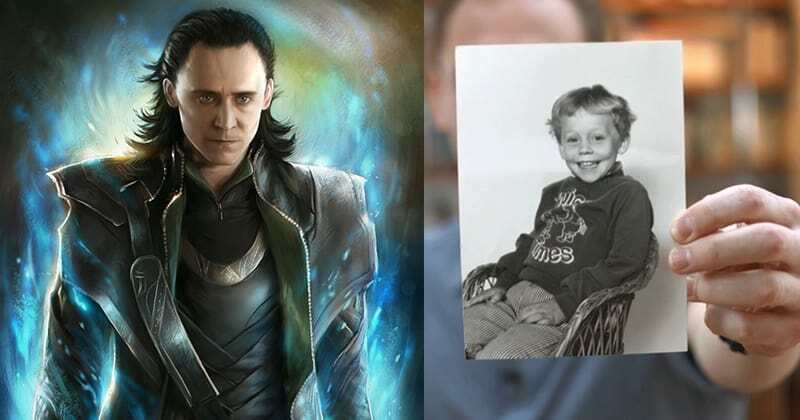 Before Tom Hiddleston was smoking up the screen as the bad boy-turned savior of Asgard, he was just another innocent kid from London with an adorable smile. He looks nothing like the Asgardian god of trickery in this one. Benedict Cumberbatch may have stolen the hearts of women around the world as he played the genius detective Sherlock Holmes, but he enthralled everyone as the inimitable sorcerer, Doctor Strange, who protects the world from the threat of Dormammu. 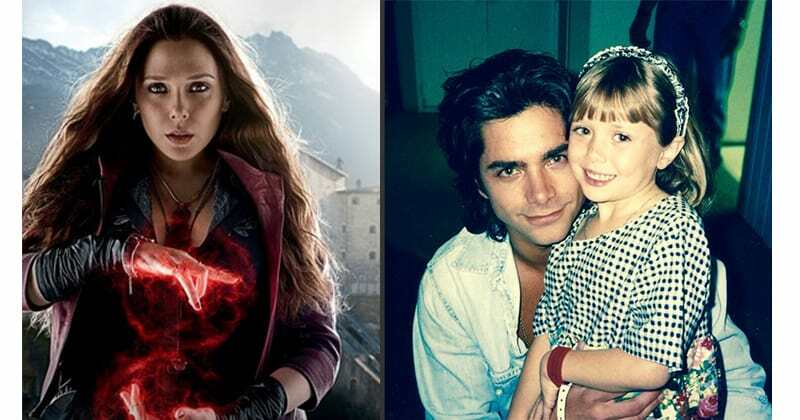 As a child, Elizabeth Olsen may have been overshadowed by the popularity of her older sisters, Mary-Kate and Ashley, but that hasn't stopped her from becoming a movie star in her own right, as she landed the role of Scarlet Witch in the 'Avengers' movies. We're pretty sure Bradley Cooper wasn't a furry mammal when he was younger, but he did voice the character Rocket Raccoon in the 'Guardians of the Galaxy' series, and reprised his role for the recent crossover film, 'Infinity War'. 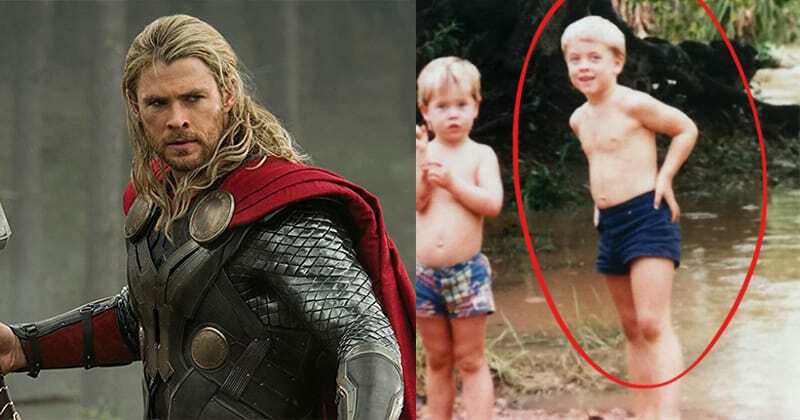 Chris Hemsworth was perfect for the role of hunky, blond Norse god, but the hunky, blond Australian actor was once a not-so-hunky, blond Australian kid who grew up down under. 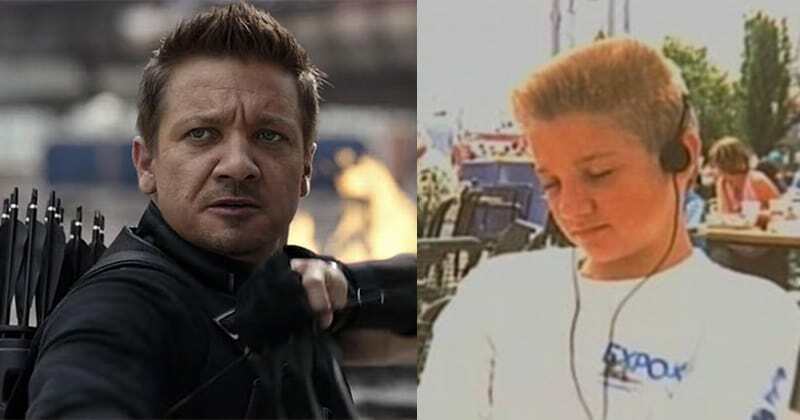 Jeremy Renner's role in the notorious National Lampoon's Senior Trip opened doors for him in his career as an actor, and he eventually began slinging arrows at aliens and gigantic spaceships as the extremely useful Hawkeye. 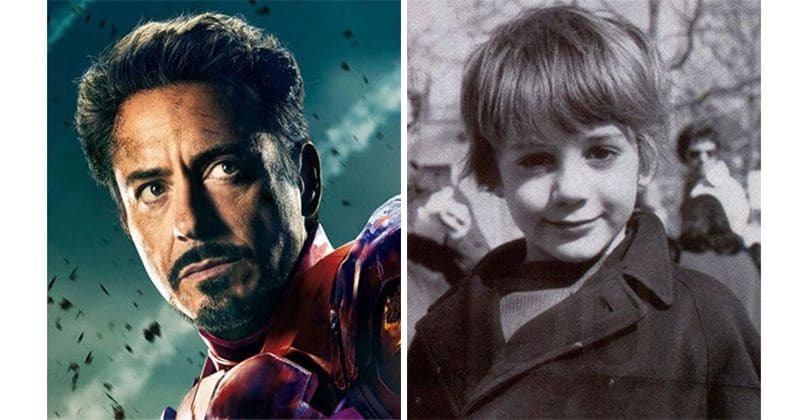 Before he was battling some serious adult issues, Robert Downey Jr was an adorable kid who landed cameos and minor roles in his father's films. The witty actor eventually became the snarky Tony Snark, er, Stark, in the 2008 film 'Iron Man', officially kicking off the Marvel Cinematic Universe. 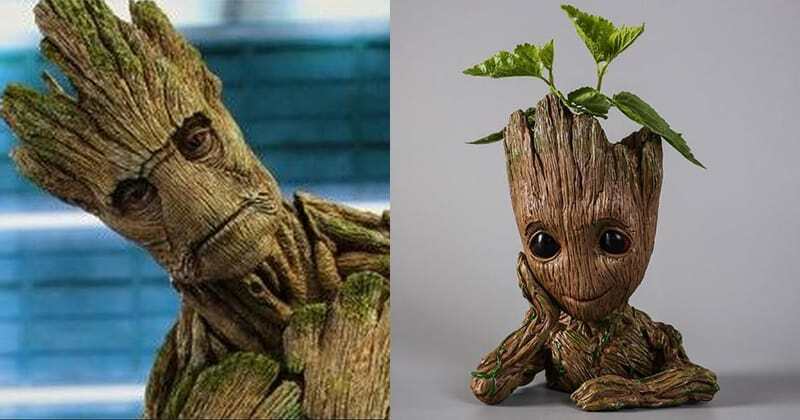 As a sapling, Groot always had a soft spot for music and dance, possibly inspired by his adoptive father, Peter Quill, aka Star-Lord. He seems to have lost touch with his innocent childhood self as he hit puberty and began acting out against his dysfunctional upbringing.